Keep your pet warm while supporting your favorite team with this officially licensed NFL sweater! 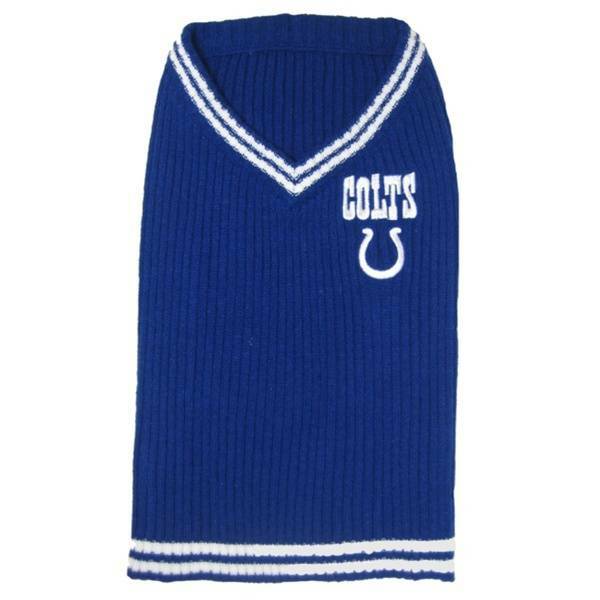 Keep your pooch warm and cozy with this officially licensed NFL pet sweater! This ribbed knit v-neck sweater vest is 100% acrylic and embroidered with the Indianapolis Colts team logo.